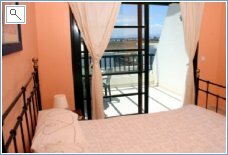 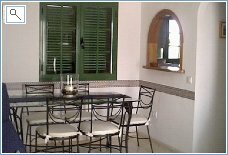 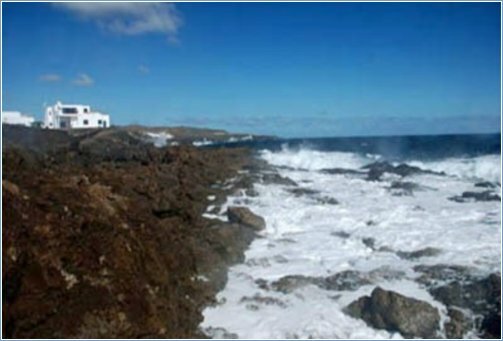 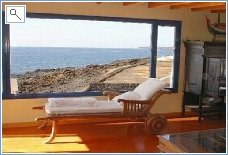 Casa Colleen is in the exclusive quiet residential area of Risco Prieto, with panoramic mountain and sea views, yet is only a 10 minute walk to the beach beside the picturesque Old town and harbour in Puerto del Carmen. 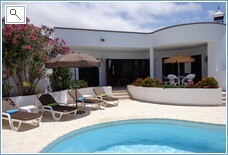 Casa Colleen is located only 2/3 min walk to the local shops. 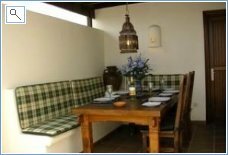 There is a good supermarket, British Butcher, Hairdresser several pubs etc.We often use Marios bar for breakfast whichis very handy. 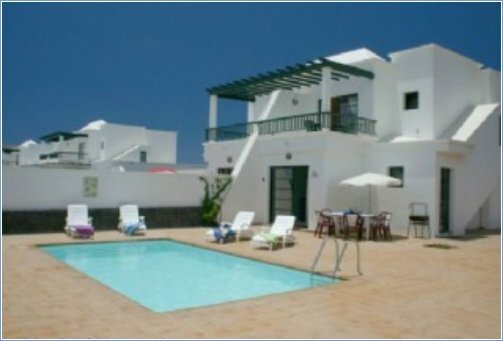 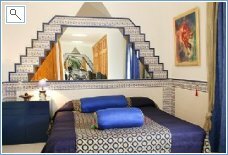 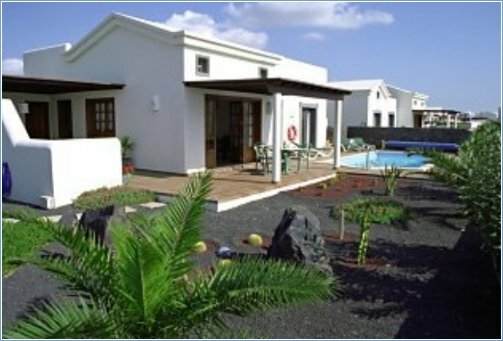 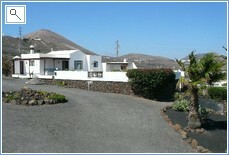 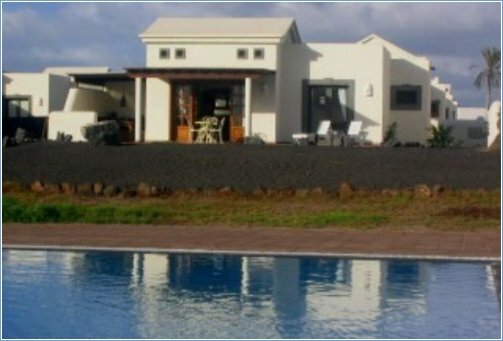 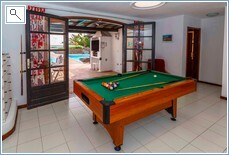 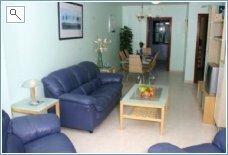 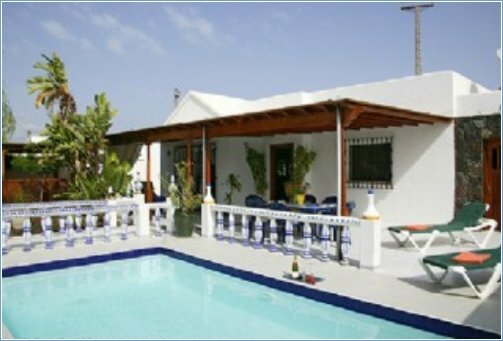 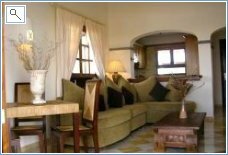 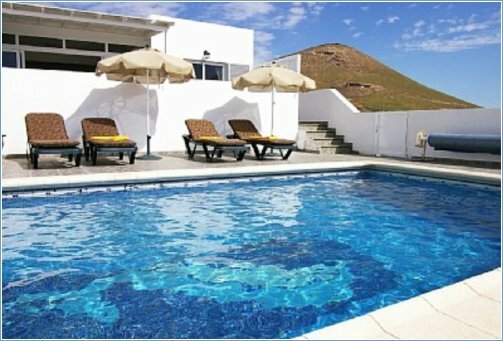 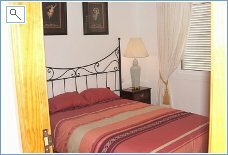 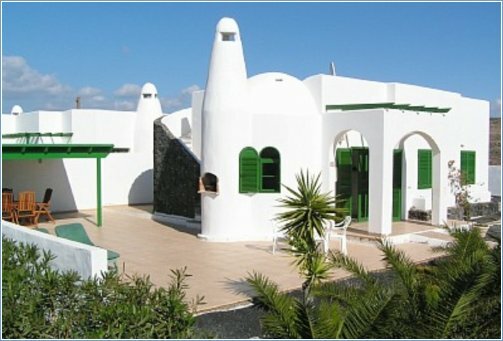 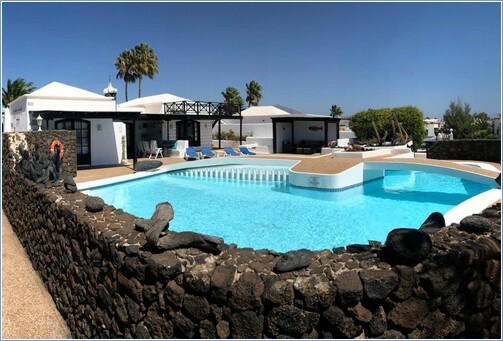 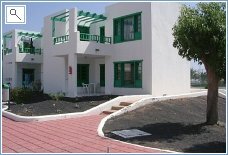 A very luxury apartment for 2 persons with the possibility to rent a supplementary room for 2, situated in the northern authentic part of Lanzarote far away from the mass tourism, and close to the unique Costa Teguise golf course. 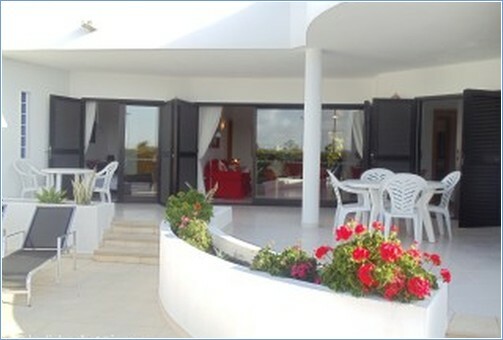 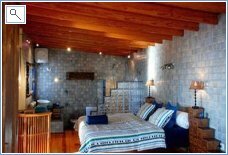 Different possibilities; self-catering, breakfast, diner and wellness! 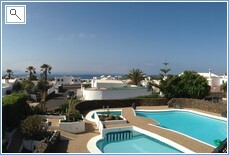 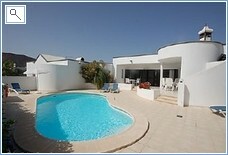 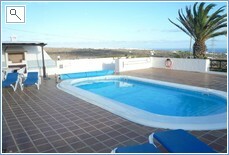 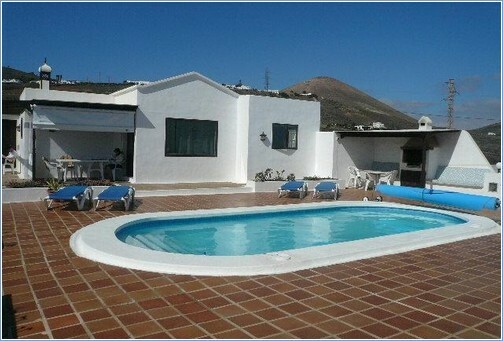 Magnificent views, very quiet with large sunny terrace and private Jacuzzi. 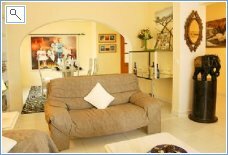 Fully equipped kitchen, laundry washing- and drying machine, TV with satellite connection, internet possibility. 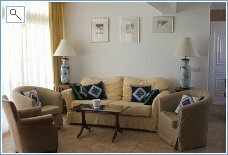 This spacious apartment has been totally refurbished to a high standard & comes complete with all new furniture. 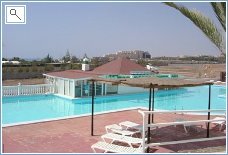 Definitely the best apartment on a quiet complex with 24 hr security, the closest to the Pool (10 yds) and the Sea (100 yds) and therefore offering unrestricted views. 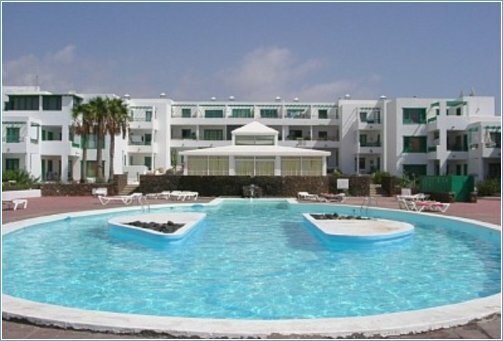 There is a Supermarket on site and a pool bar serving refreshments and some wonderful restaurants offering wonderful cuisine at unbelievable prices. 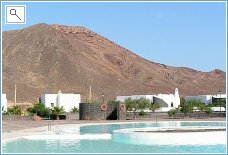 For those who prefer the nightlife a short Taxi ride costing £1.50 takes you to the heart of Costa Teguise and a choice of Night Clubs offering dancing and happy hours that never seem to end.